My friends are so puuurdy. 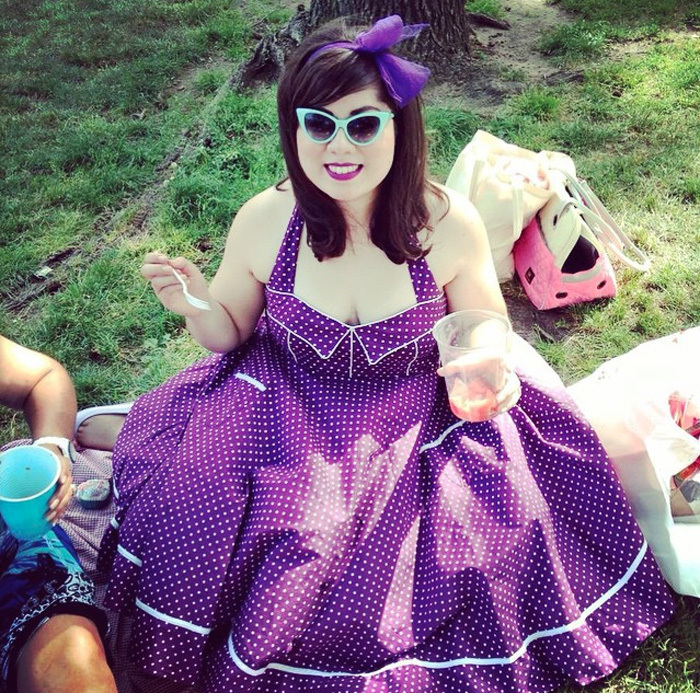 We spent a summer day having a glorious picnic in McCarren Park. All dressed up, we feasted on fancy tea and treats. It was nice to see the girls all in one place. We are such busy bees. I hope to have another picnic sometime soon! All of you ladies look amazing!! What a lovely group of friends! These photos give me so much inspiration. I'm so in love with you dress! It's gorgeous!